With its natural essential oil blend of geranium, jasmine, patchouli and lavender, it’s easy, on the surface, to see why Kypris’ Beauty Elixir II: Healing Bouquet has been one of my go-to facial oils since I began testing it in September 2014. It’s a well-documented fact that floral scents grab my attention, and when they’re blended with stellar carrier oils and skin-saving actives such as CoQ10 and vitamin C, they get used on the regular. This is because in addition to smelling good and looking pretty, my fussy skin deserves natural products formulated with ingredients that work hard to keep it calm, plump and happy. Described as “flower power for combination skin,” Kypris Beauty Elixir II: Healing Bouquet is packed with antioxidant-rich, American-made, fermented-from-yeast Kaneka CoQ10, which is said to be bio-identical to the CoQ10 produced by the body. While this little tidbit about Kypris’ ingredients didn’t really speak to me at first (CoQ10 is CoQ10, right? ), it became more interesting to me when I learned that many CoQ10 ingredients are processed from bacteria or tobacco derivatives. Yeast fermentation is said to yield the most effective, biologically active form of CoQ10, and Kaneka CoQ10 is GMO-free, allergen-free and Kosher certified. The inclusion of this ingredient alone reflects how thoughtful Kypris founder Chase Polan is in her formulations — and we haven’t even gotten to the additional abundantly beautiful, natural ingredients in Beauty Elixir II: Healing Bouquet that make it a standout oil in my beauty cabinet. Yes, I have a beauty cabinet. In my kitchen. Be jealous of my Midwestern space. Do not judge. Kypris Beauty Elixir II: Healing Bouquet also boasts fat-soluble tetrahexyldecyl ascorbate, a stable vitamin C ester that, paired with the vitamin E-rich carrier oils in this formulation, encourages collagen production, reduces inflammation and can help fade acne scarring. As I continue to research the ingredients and results I want from my skincare, it’s become more and more crucial to me to prioritize stable vitamin C, paired with vitamin E, in my oils and serums. Vitamin C provides potent protection, shielding skin from damaging free radicals. Vitamin E enhances the antioxidant effects of vitamin C when both are applied to the skin. One additional ingredient that I’d love to see in Kypris Beauty Elixir II: Healing Bouquet is ferulic acid, another potent plant antioxidant known for its ability to enhance the effects of both vitamins C and E — as dramatic as doubling the natural UV protection of both vitamins. UPDATED: See tweet below for Kypris’ response about ferulic acid. 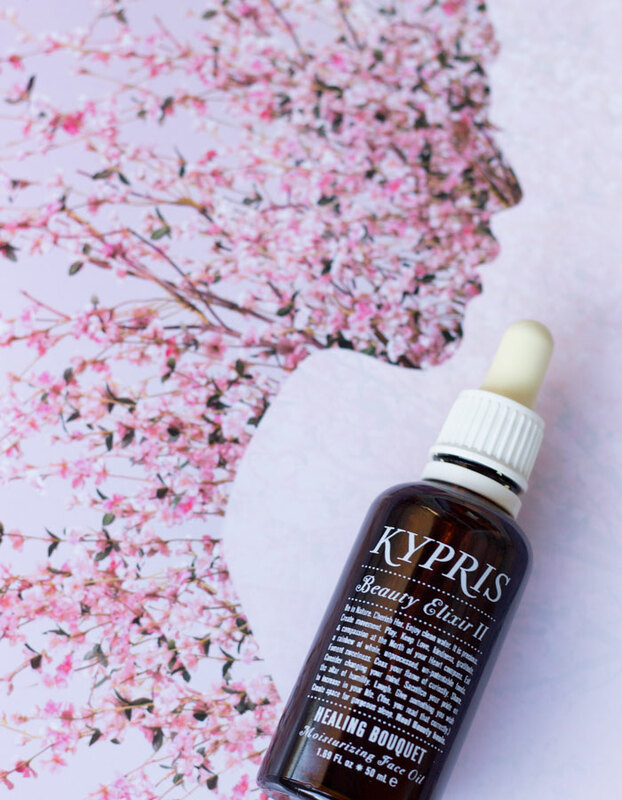 Besides these heavy-hitting ingredients, Kypris Beauty Elixir II: Healing Bouquet contains stearyl glycyrrhetinate, an isolate from licorice that helps diminish irritation, reduce flakiness and restore suppleness to dry, fussy skin. This blends well with the ultra-moisturizing carrier oils we know and love, especially vitamin A- and E-rich baobab oil, linoleic-rich kukui nut oil and skin-healing tamanu oil, a favorite for my acne-prone skin. Grapeseed oil, an oldie but goodie that oily, acneic skin tends to respond well to, forms the base of this oil, along with beta carotene- and linoleic acid-rich sunflower oil. Another oil high in linoleic acid, pumpkin seed oil, makes an appearance in Kypris Beauty Elixir II: Healing Bouquet, Pumpkin seed oil is one of those curious oils that I want to explore more, as it’s also rich in vitamins A and C, zinc, and other trace minerals and vitamins that are extremely beneficial to the skin. As you can see, virgin coconut oil is the second ingredient in Kypris Beauty Elixir II: Healing Bouquet. Many of you have said you are sensitive to coconut oil, sharing stories of horrible breakouts and reserving it instead for use in your hair and on your body. Personally, I have never had issues with using coconut oil on my face (and I am oily / acne-prone), but could it be because I typically use organic, virgin coconut oil? This interesting post (from a brand, but with sited sources) notes that virgin coconut oil is indeed non-comedogenic and instead highly antiseptic. The bottom line, though, is to trust and know your skin and when in doubt, sample, sample, sample before buying. Which leads me to the next part of this review: Price. 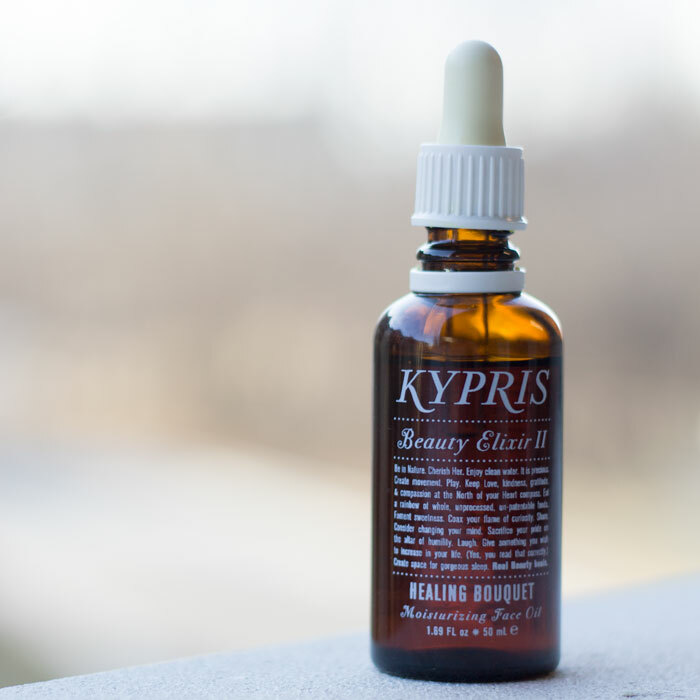 There’s no way around it, but yes, I agree that Kypris Beauty Elixir II: Healing Bouquet is expensive. It’s $200 for a 1.69-ounce glass dropper bottle, which comes out to about $118 per ounce. When put into that context, though, it’s more in line with the pricing of Yuli and Marie Veronique, and highlights how pricey Odacite’s beautiful “Autumn on the World” serum ($149 for half an ounce!) is. While a $200 skincare investment is huge, I challenge you to keep in mind quality, sizing and thoughtfulness in formulation. Is certified organic important to you? Do wildcrafted ingredients speak to you? Do packaging and design make your heart sing? Do you want to have an intimate experience with your skincare ritual? All of the brands mentioned above have one of more of these properties, and it really does come down to personal preference, what your skin needs and what your budget can handle. I appreciate the bigger sizing of Kypris Beauty Elixir II: Healing Bouquet, and I especially adore the rituals involved in the Kypris line. As mentioned in a previous post, Kypris Antioxidant Dew was a game-changer for me. While it’s become a staple in my skincare ritual, getting mixed with whatever facial oil of the month I’m testing, I especially enjoy mixing it with my Healing Bouquet. This is because not only do I know for sure that they’ve been formulated to work together in harmony, but I also appreciate that this smart combination helps me stretch my precious bottle of Healing Bouquet. 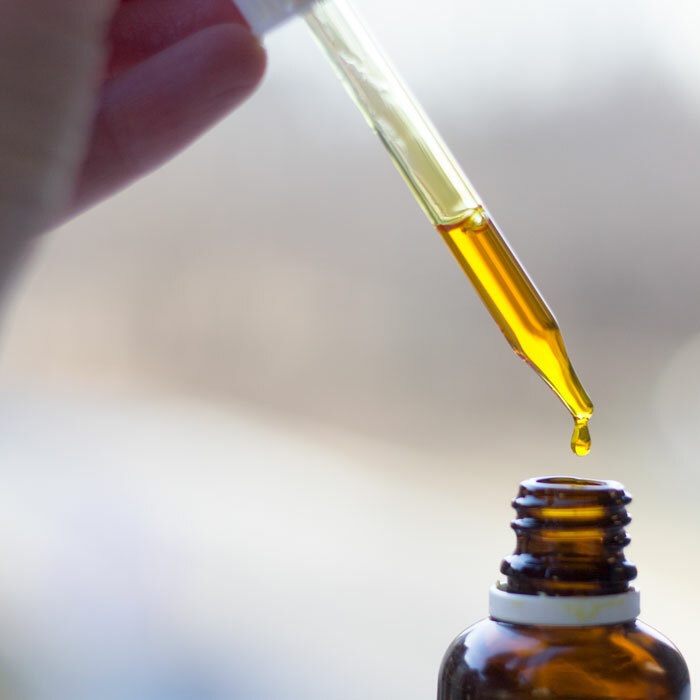 This oil, after six weeks of testing, kept my skin looking and feeling beautiful, but the biggest draw to me is that after the initial testing phase and moving on to other face oils, I found myself truly missing Healing Bouquet. Besides knowing that it’s loaded with extremely active and beautiful ingredients, this face oil is one that I constantly wanted to use because my jasmine addiction is real. As superficial as it may sound, if something doesn’t smell good, I’m just not going to use it. And that’s money wasted, no matter how amazing the ingredients lineup is or how beautifully it’s packaged. It has to smell good. And it has to work. There’s no question to me that Kypris Beauty Elixir II: Healing Bouquet does what it says it will do: “calm, soothe, and inspire radiant, supple skin for those with combination or inflamed, fussy skin due to blemishes or overexposure to the environment.” I’ve never had a breakout or reaction from using this — and it’s been in and out of rotation for five months and drastic weather changes. And there’s also no question to me that it smells good. If you’re truly a die-hard jasmine fan, at least get a trial size of Kypris Beauty Elixir II: Healing Bouquet to experience. You won’t be disappointed. And if you are, you can send it to me. Surely there’s something in my beauty cabinet I can swap you for it. Have you tried anything from Kypris? What active ingredients do you look for in your skincare? Where do you save on green beauty, and where do you splurge? Tell me in the comments section!